You might say Pride and Prejudice influenced my upbringing, as I saw the 1995 film (starring Colin Firth as Mr. Darcy) at the impressionable age of 14 and read the book shortly thereafter. After analyzing the content of the film and the book, and reviewing what matters most in life, I came to the conclusion that whether or not Mr. Darcy actually went swimming in the book did not matter to me. What mattered was watching the movie as many times as possible and laughing heartily every single time Elizabeth stumbles upon a dripping Darcy! And of course the scene in the film, “Lost in Austen,” where Mr. Darcy walks into a lake to satisfy the request of the heroine. Another is a hilarious song written and performed by Sense and Spontaneity called “Dear Mr. Darcy,” again with numerous references to his wet white shirt. And finally, there was a gigantic memorial statue of wet Mr. Darcy that toured the UK in 2013 and 2014. Do you know any others? Please share in the comments! Click here to shop White Linen bar soap, or add it directly to your cart! And to think you nearly didn’t visit Pemberley with your Aunt and Uncle Gardner. Thank heaven the family were not at home or you would never have come. The beauty of your surroundings overwhelms you and you struggle to take it all in. It is probable you will never again see its splendor, due to your refusal of Mr. Darcy’s hand. You must make the most of this visit. A sparkle of light through the bushes catches your eye. The housekeeper had mentioned a lake on the property, could this be it? You near the break in the hedge but before you reach it you see a figure pass through on foot. He has not seen you yet, but you flush red with mortification at your realization that it is Mr. Darcy himself—for the first time since your refusal—walking toward you in a state of dishevelment with a dripping wet white linen shirt. He looks up, shock registers upon his face, and he stops abruptly. Too late to get away. You are trapped. Come springtime in Jane Austen’s Sense and Sensibility, you’ll find the Dashwoods staying at Cleveland, the Palmers’s home. Willoughby makes this surprise visit in mid-April. 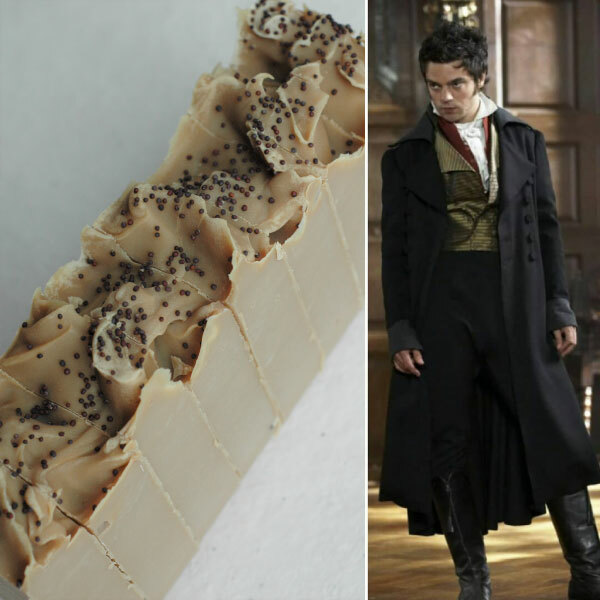 He says, “My business was to declare myself a scoundrel, and whether I did it with a bow or a bluster was of little importance.” This quote was my inspiration for the soap! Click here to shop for Scoundrel bar soap, or add it directly to your cart! For those of you that saw the 1995 Sense and Sensibility before reading the book–what did you think of Willoughby’s return? Were you surprised? Thankfully, this time it is only GREAT THINGS (I promise). After all, what could be more glorious than bringing Dungeons and Dragons (D&D) into every part of our lives, including that part occupied by our favorite author, Jane Austen? This is how I spent my youth–playing D&D style games and watching Pride and Prejudice every weekend. If you are unfamiliar with D&D, it’s a fantasy role playing game you can do from your kitchen table with paper and pencil and a few friends. One of the most notable things about D&D is the character alignments. When you create your character, you can choose one of nine alignments (or ten, if you choose unaligned). You are good, neutral, or evil, and then either chaotic, neutral, or lawful, with any combination of those two. 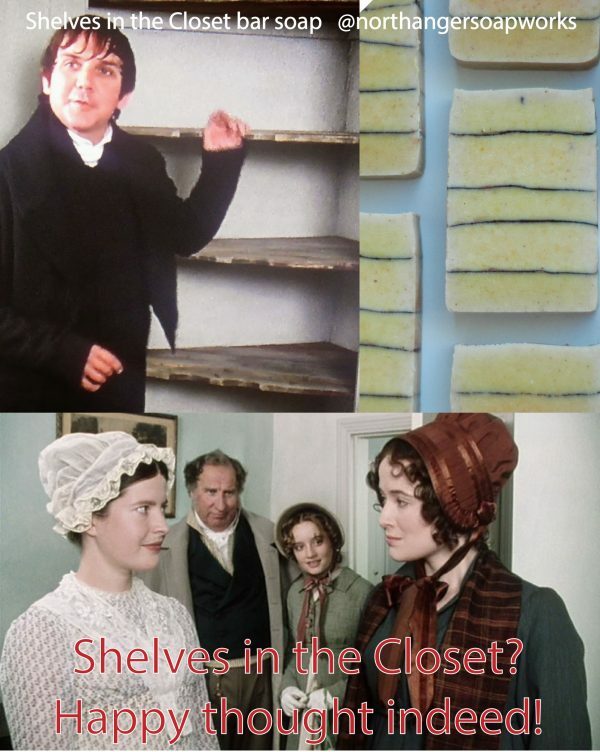 There are quite a few alignments around the internet of popular television shows and novels, and I had to add mine to the pile beginning with Pride and Prejudice. On the axis of Good vs Evil, one does not need to be a murderer to be classed as evil. It is a relative concept. This is also true for chaotic vs. lawful. Mr. Darcy, no matter his failings, is a lawful man. He has strong feelings on how things should be done, and the order to be maintained. He wants to treat people justly, but his “good opinion once lost is lost forever”. He cares about social structure, which lends to his lawfulness, and even mentions it during his first proposal to Elizabeth when talks about how he is going against his better judgement. He is good and generous, caring deeply for others. Charlotte is also a very lawful soul. A man asks her for her hand in marriage? There is no question of her acceptance and following the dictates of society. And yet, her haste in doing so puts her character into neutral territory, as in her desperation to marry, she steals Mr. Collins away from the Bennet girls, and a possible chance for Mary. Similar to Mr. Darcy, Lady Catherine is a lawful woman. Her wealth and connections make her all the more lawful in this respect, as holding to the tradition of valuing connections and fortune above other things is to her benefit in increasing the strength of her position in society. Thus, she wants her nephew to marry into a family with good connections and money. Elizabeth has neither and so Lady Catherine is angry and rightfully so according to the law of society. Lady Catherine is classed as evil because she goes out of her way to be nasty. The unexpected visit she paid on Elizabeth Bennet, with all manner of accusations, was beneath her. Bingley is the essence of goodness and kindness–this cannot be doubted. His character is in neutral territory because he is too easily influenced by others. He might have felt himself bound to Jane from the marked attentions he had shown her had he thought about it in a more lawful manner. 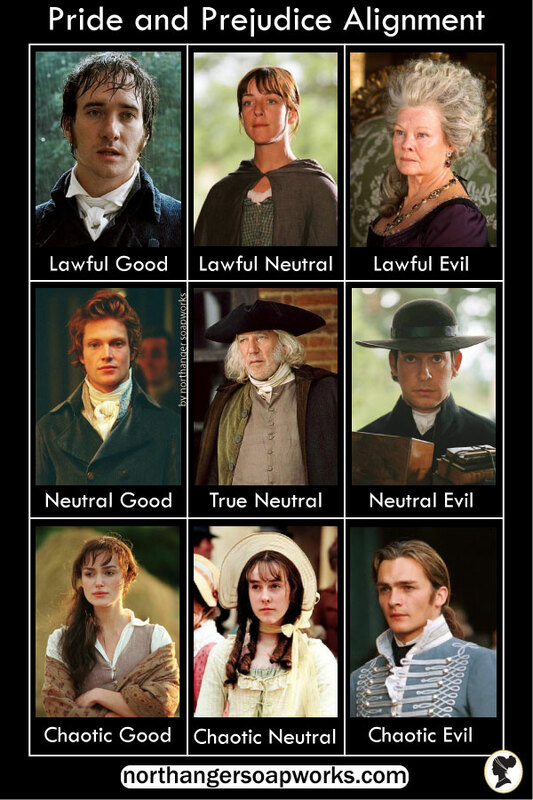 Though only Mr. Bennet is shown in the picture, I think they are both true neutral. Mr. Bennet laughs at his neighbors too much to be good, and though he cares about his family he is not motivated to do anything for them. He prefers to be in his library, detached. Mrs. Bennet is detached as well–but while her husband detaches himself physically, she is mentally detached and hides from reality. The help she gives her daughters is no help at all. Mr. and Mrs. Bennet do whatever they want to further their own goals, though it is not necessarily well thought out. They are neither good nor evil, chaotic or lawful. The character of Mr. Collins is such that at first glance you think he is lawful, but in fact his actions fall short of that and are more self-serving and calculated. He makes a fuss about his obligation to the Bennet family, a lawful idea, but in reality his proposal to a Bennet daughter was for his own gain as she would be more inclined to accept than the average lady because of the real fear of homelessness should Mr. Bennet die. The proposal he makes to Elizabeth alludes to it as well. Had his obligation been truely felt, I don’t believe he would have proposed to Charlotte so quickly. The evil alignment is justified in my eyes because he uses people to further his ambition, and cares more about pleasing Lady Catherine than being a good person and treating people with kindness. Elizabeth is the true representation of chaos for a Lady in her time. She refused two proposals when her “lawful” duty was to accept. She cares for herself and her own happiness more than that of others, including her mother (shocking indeed!). She doesn’t follow society’s rules as closely as she ought, speaks out when she should stay silent, and cares nothing for a clean petticoat–making an exhibition of herself. And yet, she is full of goodness. Lydia is also chaotic, but as her character has less goodness than Elizabeth’s and there are fewer checks on her behavior. She wants excitement and adventure and is willing to take the low road to get there. I would not go so far with her character to classify it as evil though, as I do not believe she intended harm to anyone by her actions. Wickham, on the other hand, does intend to harm. Through his actions he has harmed no less than three women in Pride and Prejudice that we know well, and very likely more that we do not. A large source of his chaos are his choices, for who would have expected him to run away with Lydia who was neither rich nor well connected? What do you think? Do you think I’ve misclassified anyone or can you think of someone better? Tell me who and why, I’d love a discussion in the comments! The date is November 26th, 1812. 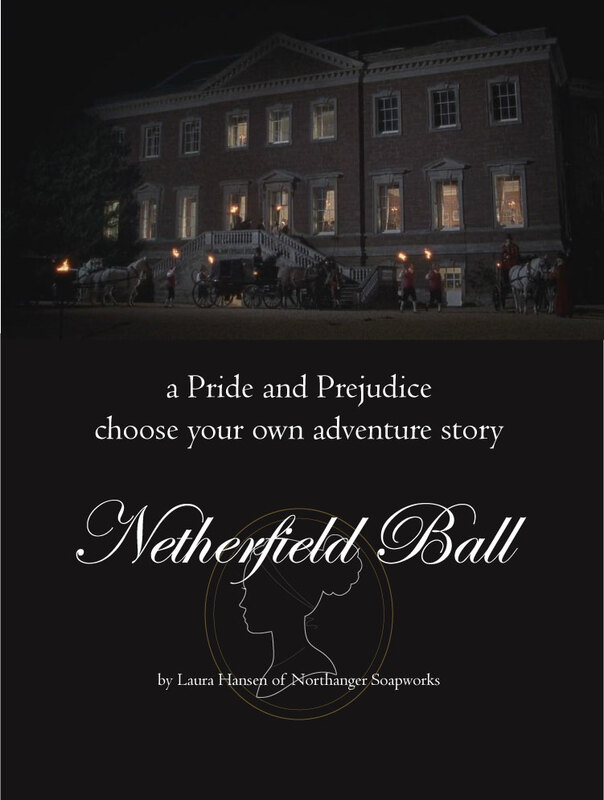 You happen to visit the Lucases, your cousins, the day of the Netherfield Ball. You have the opportunity to attend–the chance of a lifetime! Will you take it? Be brave, fair Lady. Let your Jane Austen instincts guide you through this perilous journey. You have a 66% chance of survival. Unfamiliar with Choose Your Own Adventure (CYOA) stories? They are written in second person where you are the hero and follow the narrative until a choice is given. You choose and follow the link to your fate, and often there are several forks in the road. In this short story, there are six possible endings, and two result in death. I love CYOA, but have never written one before this. Indeed, I was uncertain how the logistics would work until I came across twinery.org, which allows the composition of CYOA with relative ease. I hope you enjoy this adventure! Let me know how you like it in the comments! I may write more if the mood strikes. Pin and share as much as you wish:) You can also review it on goodreads if you like! You need the perfect Christmas gift for the Jane Austen lover in your life, but where to start? One of the privileges of being a Jane Austen soapmaker is meeting other Jane Austen makers who have an array of lovely and unique products. I’ve compiled a curated list of unique items that I’ve found and delighted in. If what I’ve linked to is sold out, most of these shops have an abundance of other Jane Austen and literary inspired items sure to soothe the soul. The list totals eleven items (and a couple extras I snuck in), but I could have gone on with more! I hope you enjoy perusing them! All are unique and most handmade. Lively Lines Poster. 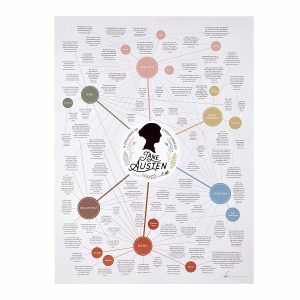 A delightful poster full of words from Jane Austen’s novels and letters. Available from Uncommon Goods. 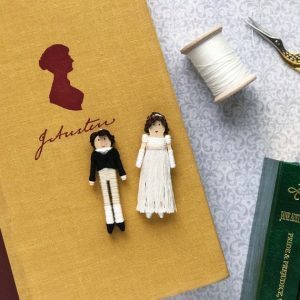 Elizabeth Bennet and Mr. Darcy Worry doll set, available from House of Worry Dolls on Etsy. These can come as ornaments too! With so many literary inspired figures in this shop you are sure to find something. 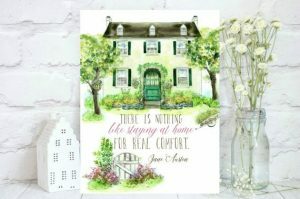 Watercolor with Jane Austen quote, available from Lucy in the Sky on Etsy. Features a favorite quote of mine. This embroidered art featuring Sense and Sensibility is a one of of kind piece from EttinMoor on Etsy. 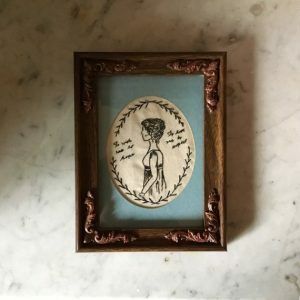 She has several other embroidered pieces inspired by Jane Austen in her shop. 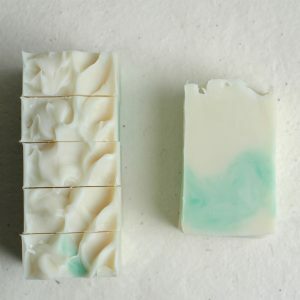 Mary Musgrove’s Restorative bar soap. 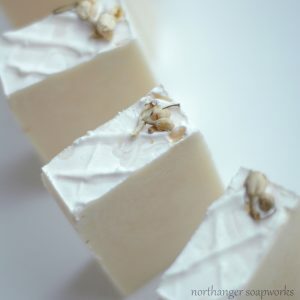 A wintery herbal soap inspired from Persuasion, by Northanger Soapworks. (that’s me!) So many other Jane Austen inspired bath products are in the shop too. 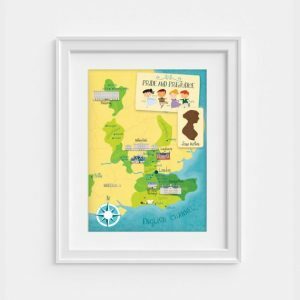 Pride and Prejudice map by Pemberley Pond on Etsy. Such a fun and whimsical item. 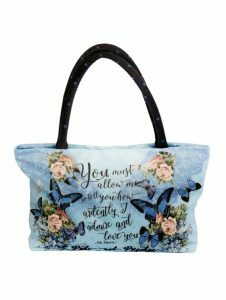 Pride and Prejudice Literary Handbag, by Enjoy the Traffic on Etsy. 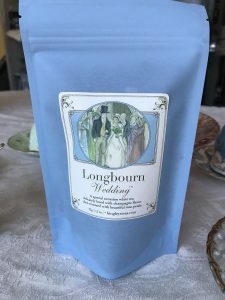 Longbourn Wedding Tea, by Bingley’s Teas. This company has so many Jane Austen concoctions, you’ll be kept very warm indeed! 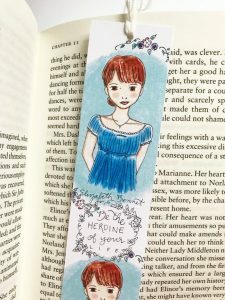 Elizabeth Bennet Bookmark, by Carrot Top Paper Shop on Etsy. So many lovely things in this shop I want them all! 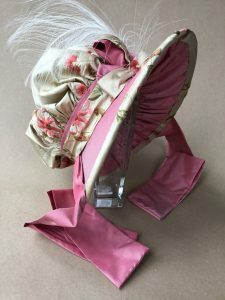 Regency Jockey Bonnet by Thomas Fortin Creative on Etsy. I have been so impressed with the quality workmanship and detail of these bonnets. 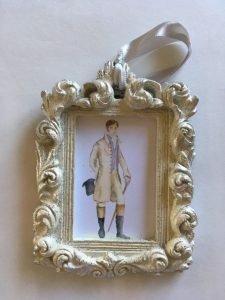 Mr. Darcy Art Print christmas ornament, by Antique Fashionista on Etsy. Such beautiful art prints. This gift guide isn’t book focused but I had to mention two new books that have come out this fall that I look forward to reading. The first is Rational Creatures, a new anthology with sixteen stories of Austen’s heroines. The second is Praying with Jane: 31 days through the prayers of Jane Austen. I’m so excited for them both! Happy shopping to you all! I hope this guide has been helpful to those looking for just the right gift. 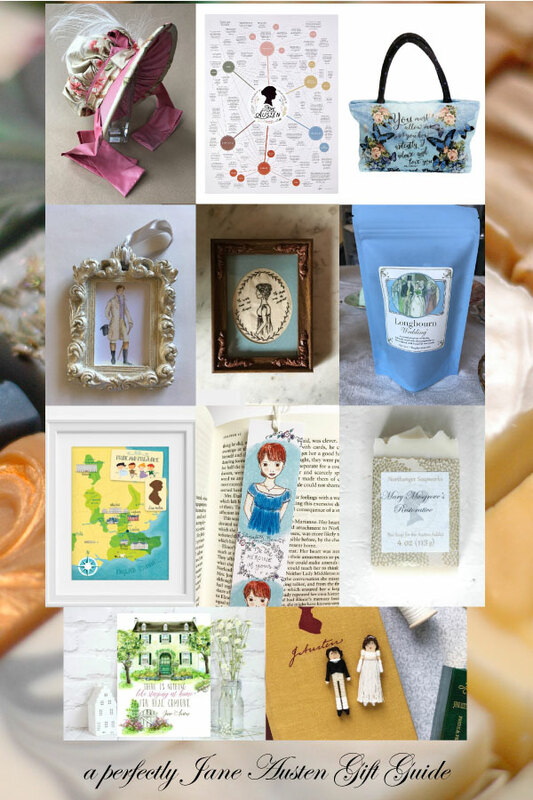 If you are looking for more ideas, check out my Jane Austen gifts Pinterest board! “I promise not to oppress you with too much remorse or too much passion, but since you left us the white rose bush has died of grief.” ~Henry Tilney to Catherine Morland, the final scene of Northanger Abbey 1986. How many times have I heard that line spoken? 100 times? 1000 times? Probably somewhere in between. The final scene of that film used to be on Youtube and I recall watching it over and over, mesmerized. When it was taken down I switched over to the DVD and kept watching. I’m sure it has escaped nobody’s notice that my business name is taken from the Jane Austen’s novel, Northanger Abbey. Now you being to see why! Most people don’t have a strong attachment to that film version like I do, and I’ll readily admit it has many flaws, is full of creepy men, and is beyond hilarious for its foibles. But. But. But. It has its moments. I saw it at the impressionable age of 10 years old, my very first Austen film and first exposure to her works. I will always adore it and show it to close friends. 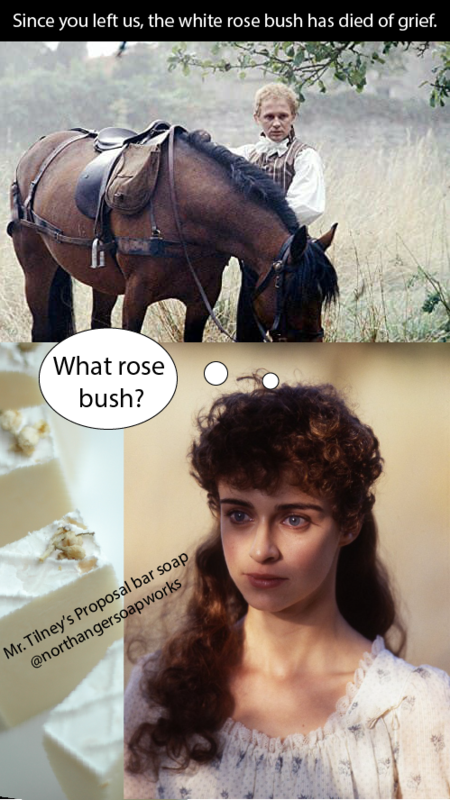 The original inspiration for Mr. Tilney’s Proposal, the white rose scented bar soap that I sell in my shop, was indeed this final scene from 1986. However, the proposal scene in the 2007 film with J.J. Feild also takes place along a hedgerow that I am convinced is full of white roses in the summer. I’ve introduced many friends to the delights of the 1987 adaptation and I hope to continue! 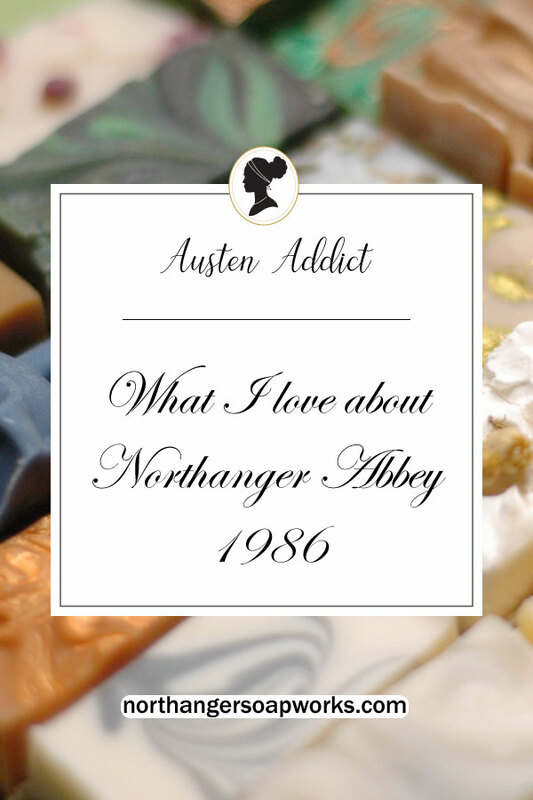 Years ago when I had my first blog as a graduate school student, I compiled a list of what I thought were compelling reasons to watch this lesser known, somewhat creepy version of Northanger Abbey. 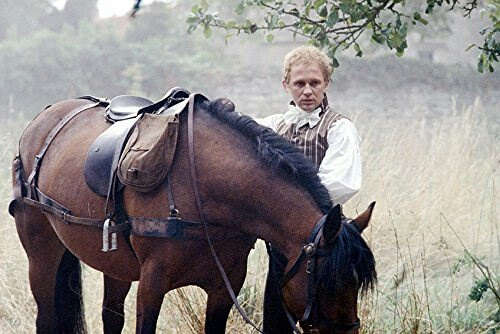 Peter Firth is definitely no J.J. Feild, and there is no comparison between them in my mind as to who made the better Henry Tilney. But in my heart, the older film was my first love. The male lead’s last name is Firth. Peter Firth. No relation to Colin Firth, unfortunately, but this point alone is important enough that I need not go on…(yet I do). The theme music is excessively melodramatic. Quite laughable, actually. Not at all fitting for Jane Austen. There is a horrific saxophone and soprano duet during a nature walk that you just can’t miss. Peter Firth sings somewhat painfully out of tune, but at least he tries. With his own voice–which is more than most can claim. All the actors and actresses are VERY ugly, except for the two leads who are so-so. The film was made in the 1980s, with hair to match. The male antagonist, John Thorpe, is super creepy, and far uglier than any other cast member, except possibly for an old guy in the giant yellow wig you see in a Bath ballroom. There is a woman in the same ballroom with a beauty spot on her face 1 inch in diameter. One WHOLE inch. You can hear Darth Vader breathing in the background sometimes. Catherine (often) wears her hair with tight curls poking out onto her forehead that looks like a claw. There are nonsensical daydream sequences! Henry wrinkles his nose in one scene, which I find delightful. Really, I could go on and on. I love this film and always will. I can only imagine Catherine thinking, “What rose bush?” See my next post on this very important topic. 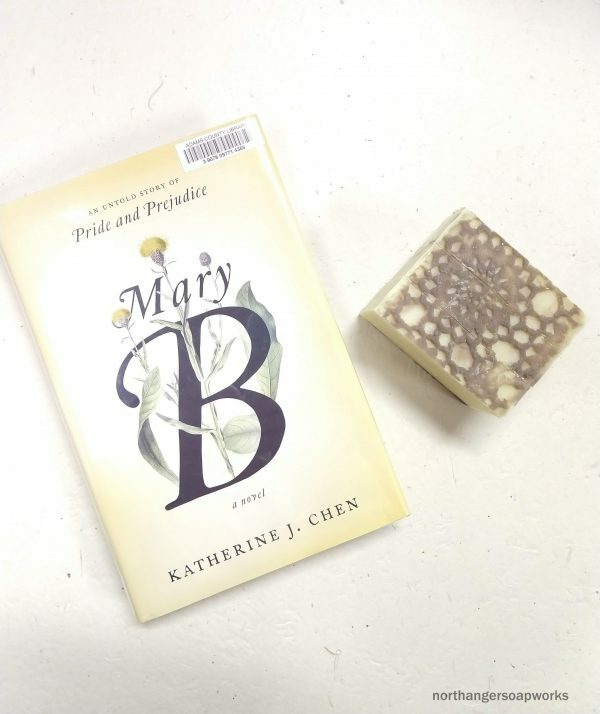 Here’s the decorated top of Elizabeth Bennet bar soap! I was going for a mossy look and I like how it turned out. 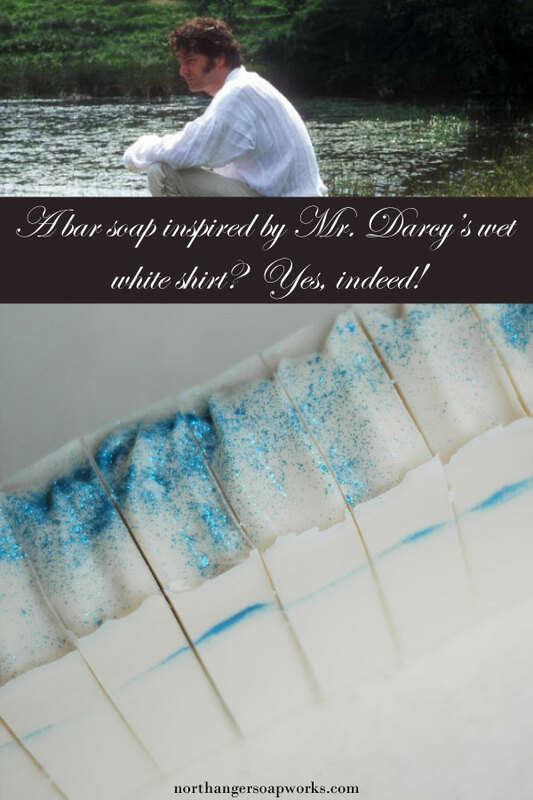 Many of you have noticed that I have a Mr. Darcy soap but no Elizabeth! Where was she, you asked? When would I make Elizabeth? In truth, this is the third time I have made Elizabeth. The first was 6 months ago before I opened the shop, and the second 5 months ago. The first two iterations looked totally different, and after I had made them I took a hard look and they just weren’t Elizabeth to me. I love Pride and Prejudice and I feel like I know Elizabeth pretty well. When you try and create something inspired by a person, sometimes it doesn’t turn out how you imagine, and that is what happened. I gave up for a time, discouraged, and moved on to other projects. The ideas needed to sit a good long while until I felt really good about one of them. And so here we are! Here is what I feel is a true Elizabeth. I take my character inspirations very seriously! 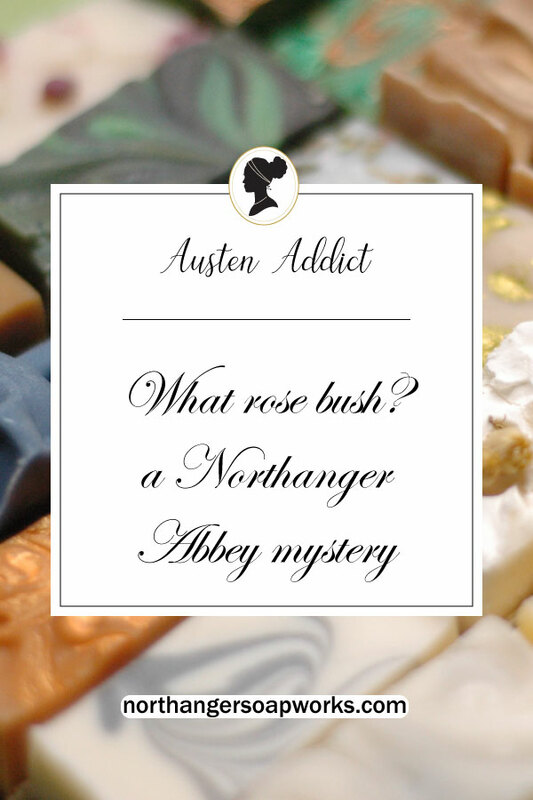 I don’t create some random soap and throw a Jane Austen label on it. They are all meaningful to me. And I am so happy that I can finally share Elizabeth with you. 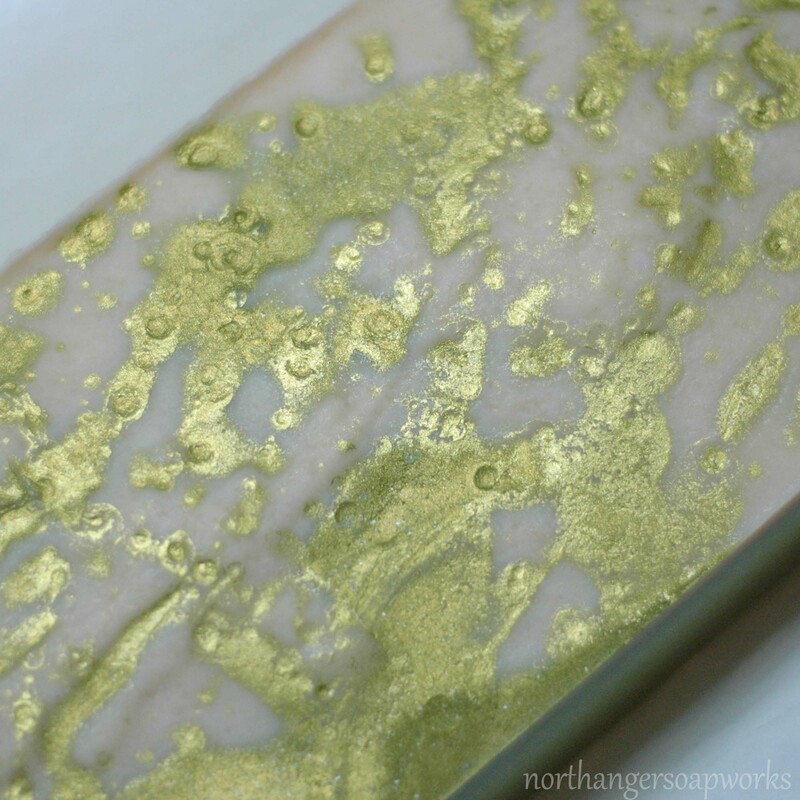 More details on this soap will be forthcoming soon! Be sure to join my mailing list (sign up at the bottom of the page) to be notified when it is available! This soap is curing and will be ready in about 4 weeks.